The scripture says God isn’t a man that he should lie, nor a son of man that he should change his mind. God can be trusted to do what he has said concerning your life. God’s words are pure. They contain nothing worthless or useless. His word is flawless. Do you know what God had said concerning your life (your situation, your health, your business, your family, your education, your needs, etc)? If yes, then believe that he will do what he had said. 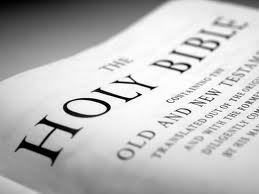 If no, study his word, and ask the Holy Spirit to show you what God has promised in his word concerning your life. As you enjoy the benefits of the Lord, or are waiting to receive yours, don’t forget that these physical blessings are temporal. They shall pass away. God’s Word says this world is reserved for fire. A day is coming when Jesus will come for God’s children and anyone whose name is not found in the Book of Life shall be thrown into the lake of fire. Not one of God’s words has ever failed. His word is flawless. He will supply your needs according to His word, and He will also cast you into the lake of fire if your name is not found in the book of life. Therefore live right as you enjoy physical and spiritual blessings.